First, we’d like to commend Stack’s and Sotheby’s on the wonderful job they did producing the sale. Everything from the catalog to the auctioneer was just superb! Since announced back in October, this sale has caused fear and actually froze the upper end of the market for some time. Now that the sale is over with successful results, everyone can step back and take a deep breath, relax, and know the market is still very much alive! We certainly feel more relaxed and better about the market now. Our opinion on how the sale did is based upon the facts: we knew just about every major player possible (with the exceptional of anyone Sotheby’s could bring in); we knew the exact quality of the coins; we knew what we ourselves were prepared to do; and we had figured what we thought all the coins were worth. We have seen comments in articles about the sale from people either tied to Pogue or looky-loos who have no real clue or gave slanted comments. We’re going to tell you, no-holds-barred, about the sale as we experienced it. It is our opinion that the sale overall was strong. However, it really should be broken into TWO sales. The silver coins had MIXED results. The gold brought “BEYOND SOLAR SYSTEM” prices. Legend spent a total of $1,425,000.00 at the sale. We felt if there would be any weakness in any part of the Pogues auctions, it would have been this sale-in the silver coins. If you stop and think, we recently had Newman and Gardner Sales, which had incredible and similar coins. So many collectors were filled up on MS Bust Half Dimes, Dimes, and Quarters from those sales. The Halves in Pogue were exceptional, but they did NOT bring exceptional prices. 1794 Flowing Hair Half Dollar. Overton-101a. Rarity-3+. MS-64 (PCGS). Starting with the 1794 (which Legend bought) none of the Halves set any real records. In fact, we stole the 1794 at $763,750.00. There were at least three legit people we know who valued it at $1 million (we were prepared to go to $1,250,000.00 hammer easily). The coin had NO quality issues what so ever. We think two things happened. Years ago we left a reasonable but lower book bid on a Ultra High Relief in PR68 ($1,650,000.00 hammer). Everyone was so sure it was a $2 million+ hammer coin, they simply turned their backs on it and did not bid. So we won the coin at our book bid! We think everyone was so sure the 1794 was going to easily be a $1,000,000.00+ they looked at other things. Also, if any one was in the room and they saw us on the phone, they knew it’s not a good thing for them to go against. It was simply a dramatic case of a coin “falling through the cracks”. There was no market collapse on that coin. The quality was mixed as well on the silver. We found it fascinating that a major dealer who is a world-class “bottom fisher” bought virtually every coin that had not been CAC’d. He spent well over $1,000,000.00. Every one agrees he got his coins cheap. In fact, this sale did actually have quite a few dealers buying the silver coins for stock–something that really should not have happened. Even we made an after-sale purchase (actually partnership) of the 25C 1804 PCGS MS64 and sold it the next day! That was another silver coin that “fell through the cracks”. Another issue that could have caused the mixed results could have been a projected price intimidation to many. We want to be clear, not all the silver was so/so in quality. In fact there were many “out-of-this-world, finest-known” in the sale. The out-of-this world H.10 1800 PCGS MS68 brought $381,875.00; 10C 1800 PCGS MS65 $141,000.00; 25C 1796 PCGS MS66 $1,527,000.00; and a to-die-for 25C 1834 PCGS PR67 CA $329,000.00. Keep in mind, anyone building a major collection will tell you there’s always some “lesser” quality coins you have to buy to fill the hole. That’s why several coins not only did not sticker, but sold for weaker-than-expected prices as they had quality issues. The first session had been to CAC. When they got the coins re-holdered they apparently felt it was best to keep all the coins equal and not have any without beans. This sale more than proved that having a CAC bean DOES add buyers and value to a coin. When you have one of the most noted bottom-fisher dealers buying the coin he knew flunked CAC with little competition, that’s a very bad sign. There was a clear pricing difference between the coins that were CAC and the coins that were not. 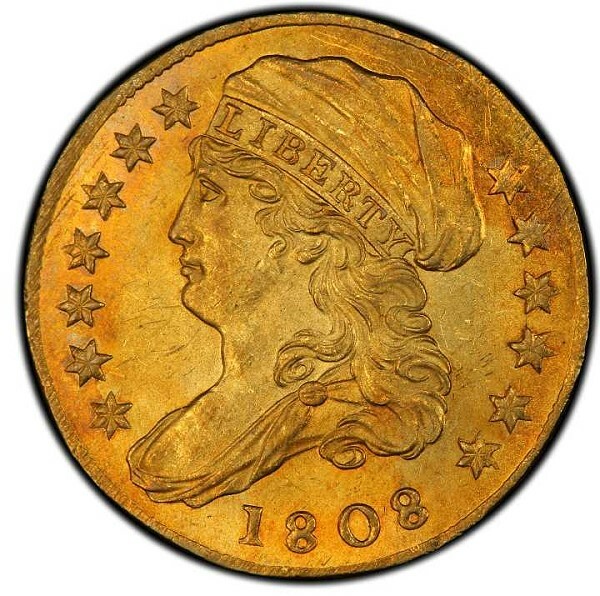 The LONE exception to a NON-CAC coin selling cheap–the 1808 $2.5. See below for all the reasons why it did so well. People do not seem to like admitting that CAC adds value. We will say this: clearly, collectors today are highly quality-conscious. If the coin is not all there, the price won’t be either. Pogue and Stacks will be making a bad mistake if they do not CAC the balance of the sale. While a not a huge number overall, we know of at least five HUGE impact players who will only buy CAC coins. We strongly advise people to use agents for the next sale if they do not send the coins to CAC. Final comment: the pop on the 1794 PCSG MS64 is TWO. We do know where the other is, and made a serious inquiry about it at FUN. FYI: We’re still a buyer of it! Now this was the Pogue sale we fully expected. From the first gold lot on, biding was intense. EVERY gold coin sold for “beyond moon money” without exception (we’re calling the results “solar system money”! There were multiple phone bidders for just about every lot. The big highlight was the $2.5 1808 PCGS MS65. The truth be told, the majority of people felt it was 64.8. It had never been messed with (a very important fact). However, it was the finest, it still was one heck of an 1808 visually, and ANY 1808 is ridiculously rare (we need a PCGS AU58 CAC – any got??). This coin bought $2,350,000.00 to an international collector! The next best piece is the 63+ (which Simpson owns), so anyone wanting a GEM had only this one chance. 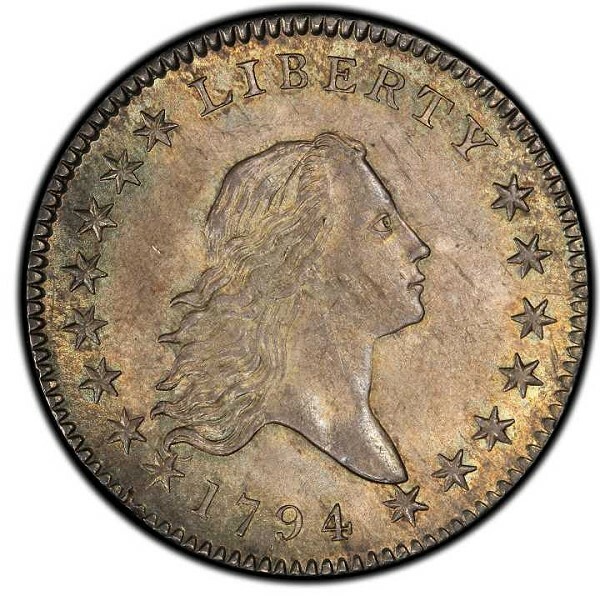 The 1796 No Stars PCGS MS62 brought a staggering $622,000.00–full MS63 money. 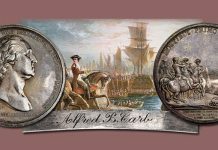 The most-wanted $2.5, the 1798 PCGS MS65 (which was amazing quality), brought a monster $763,750.00. Lastly, the $2.5 1806/5 PCGS MS62 ended up bringing $199,750.00. The reason the gold did so incredible was because the coins are all genuinely rare, no similar coins have been offered any time recently, and the quality overall was “all there and then some”. For the gold, we could not even get our hands up! The gold segment was definitely refreshing. Now we can all sit back and absorb our purchases or vent about our misses. 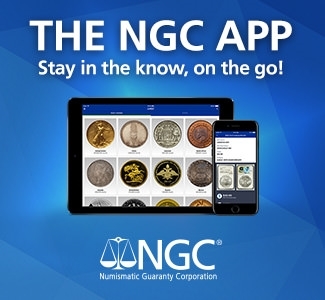 There’s no question the rare coin market is alive and well–even after Pogue I and all of Gardner! Just remember, interest in certain coins really is about the quality (and a lot of times a coin being fresh). The next Pogue sale will be the first of the real blockbuster sales. We know we already have in excess of $10,000,000.00 worth of coins to bid on. There will be at least one $5,000,000.00 coin and several we expect to easily break two million. If you can attend, you should. A huge sale like this is fun to watch. Pogue actually affects only a small percentage of coin collectors. People who collect Copper, 20th-Century Gold or Morgans have had no fallout from the sales. In fact, the main problems in those areas is purely supply. Of course, quality is a HUGE issue; White Morgans and Saints suffer the most from gradeflation and collectors know it. When a really nice coin does hit the market, it sells for a big premium then goes into that “black hole” that forever has kept coins off the market. A simple coin like an 1880S in TRUE MS 65 DMPL just can’t be found anymore (or easily found). How many PCGS MS66 CAC Saints have you seen on the market? Or seen ANY better GEM Saints offered since Dr. Duckor sold his? NOPE! We strongly believe prices at this point MUST go up. It is more than established now that there’s a healthy market. The ONLY disruption is lack of supply and dreck coins selling too low in an auction. One problem we suffer is that we really do have a HUGE Want List ($20,000,000.00+). When we can’t find anything on it, in order to generate some biz we end up stepping out and buying lots of “stuff” we don’t need (a reader suggested we find a chapter of Coin Buyers Anonymous …LOL). When we do that (many of you know most dealers just love to buy coins all the time), it is either coins we just don’t need or coins that are not 100% “Legend quality”. Since we will NEVER sell any inferior coins to our customers–and in order to keep liquid–we end up blowing them out and losing money. So we have decided to slim down and ONLY deal in coins that are 100% of what Legend is about. So you will be seeing smaller offerings. Do know, we WILL pay HUGE premiums for the coins we really want or need. Right now, we need a $20 1907 HR FE PCGS MS66 CAC, a $10 1911D PCGS MS64+65, or a bunch of $1 1880S PCGS MS65 DMPLS CAC (ONLY), to name just a few items. Been looking a long time for a NICE 1955/55 1C PCGS MS65RD (CAC only).